Regular roof inspections and maintenance can prevent minor issues from escalating to major replacements ensuring your home is protected from the elements. 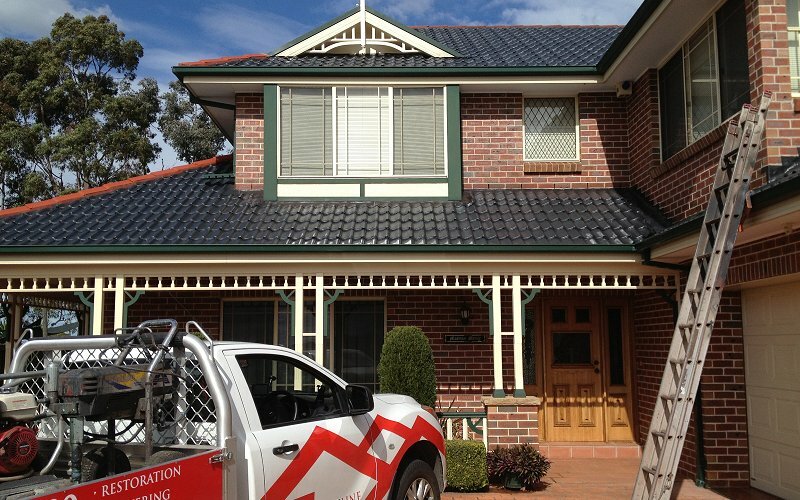 Roofline has been servicing Dural and the surrounding suburbs of Sydney for more than 20 years. We provide a high level of professionalism and honest quality advice on the condition of your roof. Our teams use the very latest in equipment, and technologies to ensure you receive the safest and most effective results for your home or business. Get in touch today to see how we can help or call us to arrange a free no obligation quote. What type of roofs do we service? We have a professional team of roof restoration experts to provide you with top quality full roof restoration services in Dural and the surrounding areas of Sydney. Through our commitment to constant innovation and improvement within our industry all our work is backed with a 10-year written guarantee on materials, but a further 7-year guarantee on our workmanship. What are the signs that you may need roof restoration? If you have not done a roof inspection in the last few months, it may require some preventative maintenance or restoration. Sometimes the signs that a roof restoration is required are obvious, for example, moisture damage, moss build up or water leaking through your ceiling. Perhaps you would like to sell and update the aesthetics of your home to increase the property value, then roof restoration is an excellent alternative to costly replacement works. To achieve a neat well-kept and modern looking roof, you need guaranteed quality workmanship and quality long lasting products. Roofs comprise 30% of your home and can take a heavy toll due to the weather extremities. This can cause the roof to wear out and look worn out, as well as cause structural issues if left unkept. If you are looking to add value to your home and a way to rejuvenate your roof, then painting is an excellent alternative to a complete roof restoration. Roof painting provides roof protection and instant curb appeal. We can assist with virtually any roofing types, including concrete tiles and metal surfaces such as Colorbond®. Painting terracotta tiled roofs requires specialized techniques and Roofline is proud to be one of the few Australian companies that specialise in painting terracotta tiled roofs. If you’re considering having your roof painted, we can help with colour matching and provide quality honest advice. So, get in touch with us today. Why would you need your roof cleaned? Rooflines’ comprehensive high pressure clean can prevent any unforeseen issues such as these from occurring. Roofline’s team of roof cleaning experts are able to transform the look of your roof, instantly improving the appearance. Our teams have many years of industry experience, so you are assured of expert advice from professional teams who will provide safe and effective services at surprisingly low cost. Call one of our friendly staff members for an obligation free quotation today. Our teams have extensive industry experience providing Dural customers with quality gutters that are meticulously installed. Our qualified roof plumbers are equipped to professionally and competently install your home gutters, even custom-made designs and installations. While our teams are onsite, many of our customers take the opportunity to replace soffits, fascia boards, gutters and downpipes if required. We often find that once a roof has been refurbished, tired spouting and old paintwork stand out more. So, if you would like to give your home a complete exterior refresh this is something well worth considering. If you would like more information, contact one of our friendly team members today. 20 years of experience used to your advantage. Roofline makes the process of restoration, replacement or cleaning as simple as possible while using effective long-lasting methods to keep your roof looking its best. We offer a 10-year written guarantee on materials and to further provide you with quality assurances we offer a 7-year guarantee on our workmanship; all at no extra cost. Roofline is fully licenced with a dedicated team of experienced qualified Sydney based professionals who specialize in roofing. We are customer focused and provide individual attention to your roofing needs. We service both commercial and residential properties, catering for all sorts of roof repairs whether you have a pitched or flat roof, tiled, terracotta or metal we service properties right across Dural and the surrounding areas of Sydney. For an obligation free quote, be sure to get in touch today.